The little planet Ceres, an enigmatic rocky body of the asteroid belt between Mars and Jupiter, is rich in ice just below its dark surface, announced the scientists in a study which might clear the early history of our solar system, informs Reuters. The discovery, presented in the study published in the magazines Nature Astronomy and Science, could stimulate the first commercial attempts to drill on the asteroid belt for water and other resources during the robotic missions or with human crew beyond the Moon. The space probe Dawn moves on the orbit of Ceres, the biggest of the thousands of the celestial bodies from the main asteroid belt, from March 2015, after a study of 14 months on the giant asteroid Vesta, the second object as size in the asteroid belt. According to the studies, 10% by of the Ceres is water in the form of ice, according to the physicist Thomas Prettyman from the Institute of Planetary Science In Tucson, Arizona, one of the researchers involved in the study. The examination of the celestial bodies like Ceres provides valuable data on the way in which the solar system has formed. The scientists debate whether Ceres hides a liquid ocean of water, a perspective that would put Ceres on the bigger and bigger list of worlds from or beyond our universe which could support life, said Carol Raymond from the Jet Propulsion Laboratory in Pasadena, California. The discovery is an argument for the presence of ice near the surface and on other objects from the main asteroid belt, says Thomas Prettyman. 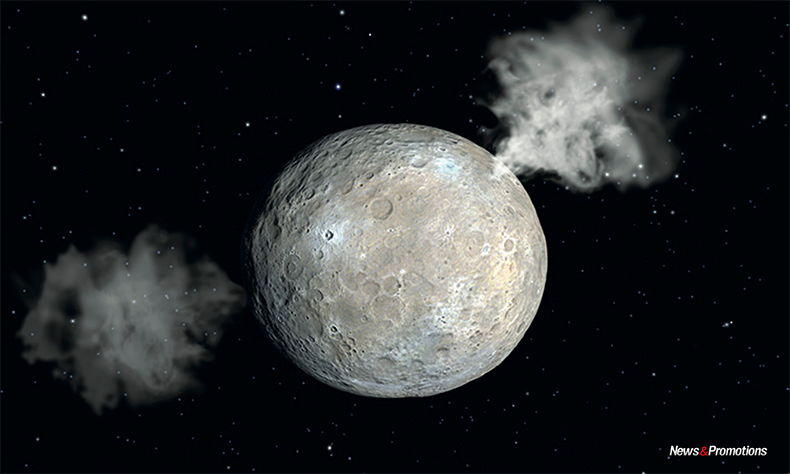 The information gathered by Dawn has shown that Ceres, unlike Vesta, used its water to create minerals. The scientists have combined data from mineralogy with computerized models to learn more details about the composition of this small planet.